"Ireland in Art" is a portfolio I started after the Ireland trip in 2005. It shows a variety of motifs all over Ireland, which are manipulated in contrast and saturation in an artistic way, i.e. partial only. 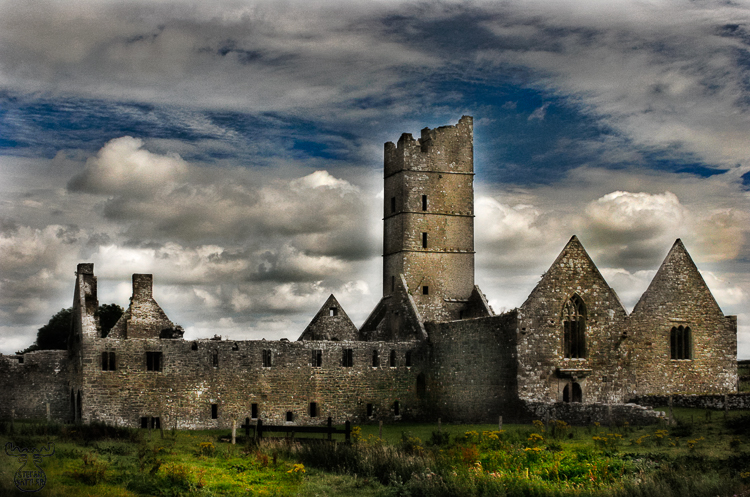 Moyne Abbey with it's remains of a former Franciscan friary was one the perfect targets for this series. The rather cloudy and rainy day was the cherry on top of the melancholic ambiance.